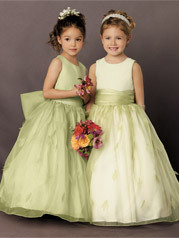 Organza dress with a sleeveless bodice and attached sash with back bow. 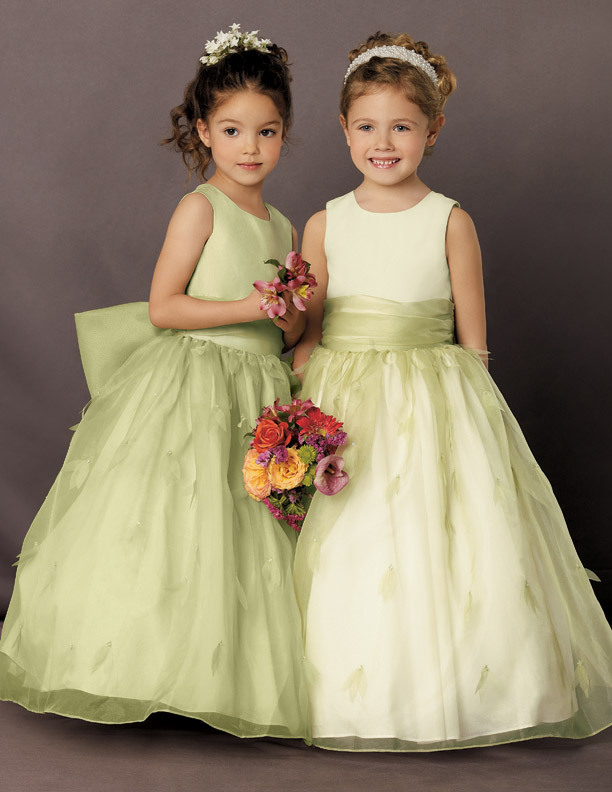 The full skirt is accented with petals. Also available in ankle length.